There are some places on Earth that you just have to see for yourself. No story, picture, or video can do them justice. Many of these locations have a particular draw—something unique that pulls people from all around the world. While it’s true that the USA has many such places, there are none so revered as the subject of today’s blog. 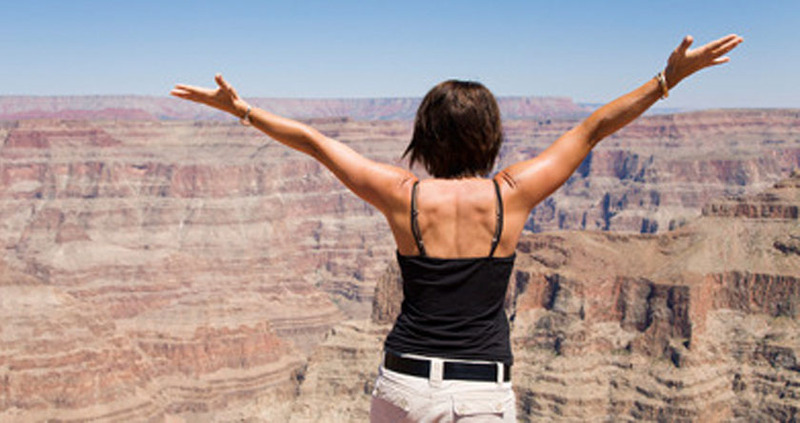 This week, our Bucket List Destinations series brings us to the almost unbelievable natural beauty of the Grand Canyon. 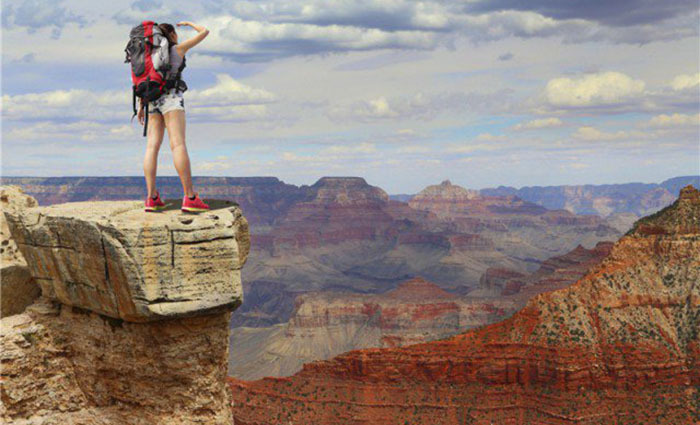 At nearly three hundred miles in length, the Grand Canyon is no small tourist attraction. The Colorado River has painstakingly carved out this national landmark over the last 5-6 million years. The Canyon takes us back in time: see limestone from 230 million years ago, all the way back to Vishnu schist right at the bottom—a staggering two billion years old! 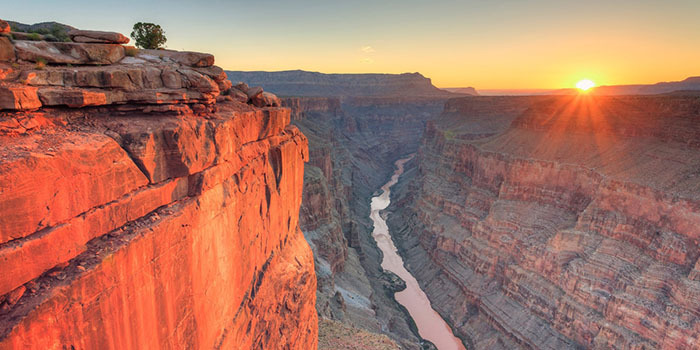 The physical challenges, historic depth, and breathtaking visual beauty of the Grand Canyon cement its place as one of the seven natural wonders of the world. Enjoying the view from one of the many vantage points could take hours. The most popular entryway is Grand Canyon Village. This historic destination on the South Rim includes Yavapai Point—one of the best places for viewing. Elsewhere on the South Rim, you can take one of the famed hikes to the very bottom of the Bright Angel trail—great for beginners! The Rim Trail also closely follows the canyon edge, so is relatively easy for new hikers. And if you get a little tired, there’s a shuttle bus that runs alongside the trail. Many sources state that the South Rim is more popular with tourists than the North Rim, but only by a small margin. People know the North Rim for its sparse facilities and isolated trails. Any nature purists reading this will be happy to know that the facilities are few and far between. It has always been a relatively underdeveloped area. General consensus indicates that its best hike is the North Kaibab Trail. In summer, the Arizona sun will be very unforgiving, but at other times of the year you’ll be able to hike to the Colorado River without the oppressive heat. As if all this wasn’t enough to convince you, there are two more surprises yet to come. Firstly, we visit Havasu Falls. The waterfall stretches ninety feet and cascades against a backdrop of red rocks. You have to see this real-life desert oasis of crystalline waterways and transcendent pools to believe it. And finally, we come to a controversial—but no less incredible—feature of the Grand Canyon: the Skywalk. This glass bridge is large, semi-circular, and allows visitors to walk out over the Canyon for an unmatchable viewing experience. While some have claimed that the obviously manmade construction was a detriment to the natural aesthetic, it continues to attract thousands of visitors every year. For those who may be sceptical that something could truly be this wondrous: see it for yourself. It will have you awestruck. Let that cynicism seep away and instead, recall that ‘morning before Christmas’ excitement from your childhood. The Grand Canyon will not disappoint you. For timeshare that will allow you to experience all of this every year, get in touch today! Our Buying Team are on hand to help you fulfil every item on your bucket list. Meanwhile, if you’ve already seen enough, get in touch with our Selling Team to discuss your options, obligation-free. Let us make the process simple! ‹ We Just Celebrated 25 Years in Business Selling Timeshare!